Well I'm on fire! 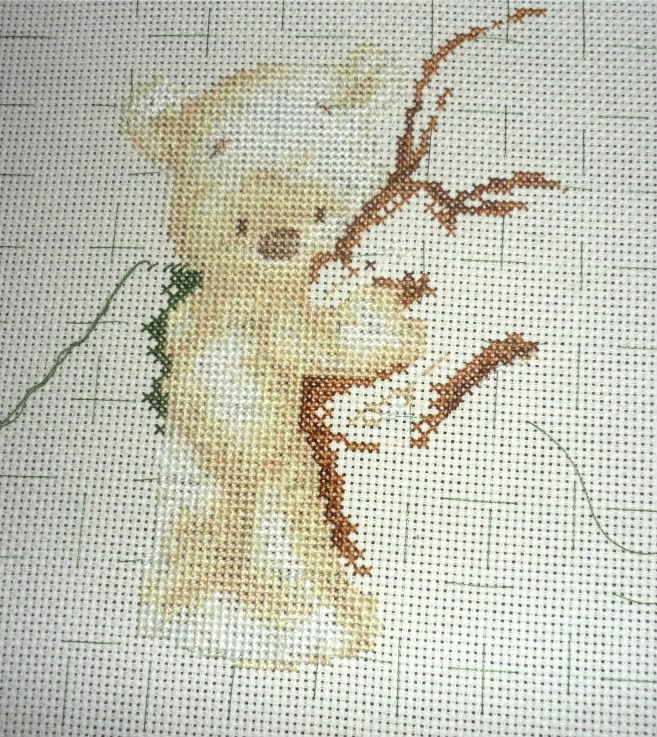 I spent 4 hours stitching on Lickle Ted while sitting for one of my familys (the boy gets annoyed if I say baby sitting for them). Lickle ted is done except for the back stitching. I just need to finish the toy rabbit and the back ground. It's looking gorgeous, I started the green a little bit because I wanted a break from the browns. I am so happy with the colours. My cousin is going to be so excited when he sees this ... actually my cousin's partner will be more excited I think it's a girl thing but they know it's coming and both went awww over the picture so I'm happy.